The theatre arts have a long history at Carleton. The oldest club on campus, the Sock n’ Buskin theatre troupe, performed its first play in 1943, only one year after the university we now call Carleton offered its first courses. In the 1970s, when the Canadian plays we tend to take for granted were not part of the regional or national theatre culture, the Department of English was the site of grassroots efforts to nurture original Canadian theatre. Beginning with the campus-based plays of a small group of professors and graduate students, these efforts culminated in the establishment of the Great Canadian Theatre Company—one of many independent, professional theatres established in the 1970s with a mandate to produce works by Canadian playwrights and theatre artists that consider and reflect on sociopolitical issues from Canadian perspectives. The GCTC continues to play a vital role in the local theatre scene. While the history is long, the story of the present gives us all reason to take notice. Not only are there strong, ongoing, and growing connections between Carleton and Ottawa’s local theatre culture, there is a vibrant interest in drama here on campus that is producing remarkable things. To take one example, the connection between the Great Canadian Theatre Company and the Department of English persists. Dr. Sarah Waisvisz, a Carleton grad (PhD English, 2014), was the company’s Playwright in Residence for the 2016-2017 season. While also teaching Playwriting and Creative Writing in the Department of English, Sarah is currently Artist in Residence at the National Arts Centre’s English Theatre, where she is working on the two new scripts she began while in residence at the GCTC. An earlier play, Monstrous, began as text written for her dissertation. Moreover, Sock n’ Buskin continues to thrive. While the club stuck to a formula of one musical plus one Shakespeare play for many years, it now offers a more diverse range each season, giving student playwrights, directors, actors, and set designers multiple opportunities to hone their crafts each year. 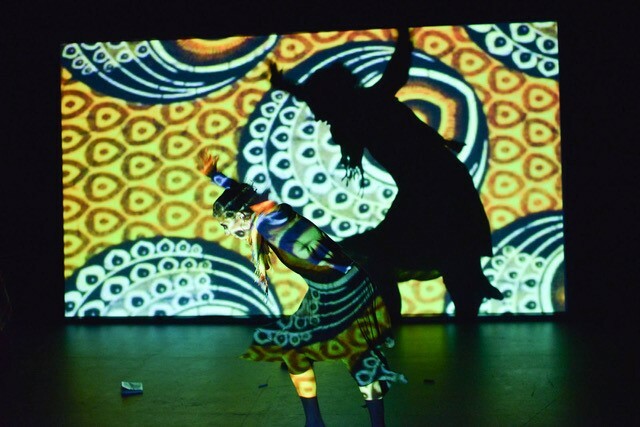 Sock n’ Buskin’s 2017-2018 season offered robust evidence of its creative reach and ambition: four full-length shows––The Brothers Grimm Spectacularathon, Twelfth Night, Rhinoceros, and The Elephant Man––shared the stage with some shorter pieces––Adult Entertainment, The Maids, and They’re Made Out of Meat. 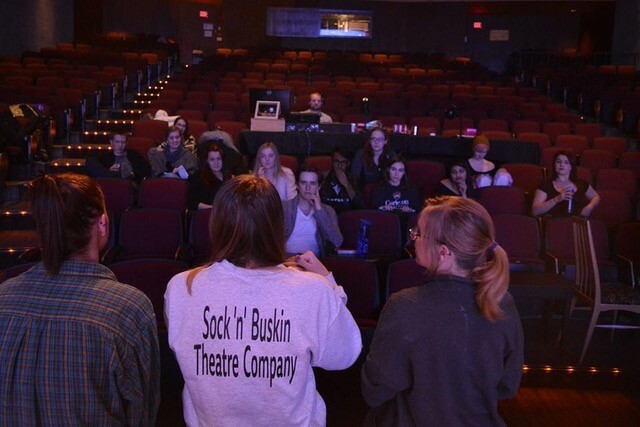 Run by students from the ground up, Sock n’ Buskin serves as a springboard for these same creative students (Dan Ackroyd is one of its many alumni), as well as a place for them to gain experience in arts administration. More recently, the Drama Studies program offered by the Department of English has blown new life into campus theatre culture. Open to both English majors (as a Concentration) and non-majors (as a Minor), the program combines academic courses (Shakespeare and Film, Greek and Roman Drama) with drama workshops taught by theatre practitioners, such as actors Sarah McVie and Rebecca Benson. Students hone skills both theoretical and practical, learning the fundamentals of theatre practice, performance theories and staging techniques, histories of performance, script analysis, theatrical design, and theatre critique. 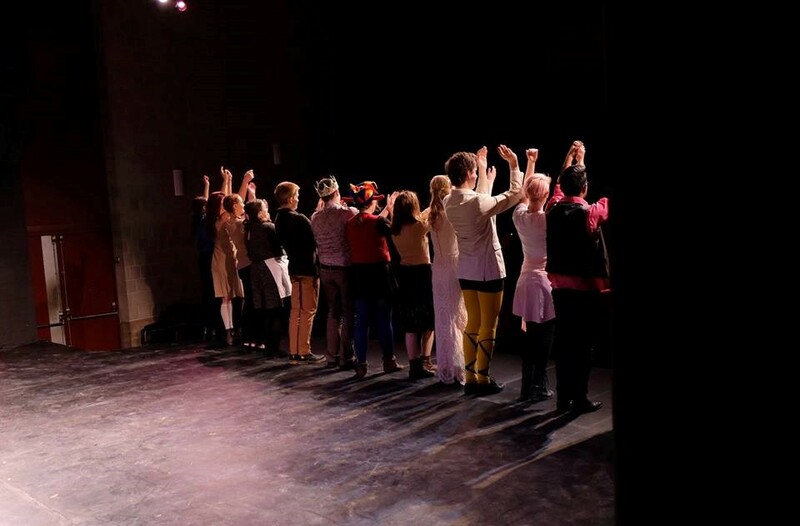 In one of the program’s third-year courses, Drama Studies: Contemporary Criticism (ENGL 3609), students learn the craft of theatre criticism through continuous exposure to live performance, in addition to the study of performance theories. This course will be offered in the fall of 2018, and both the National Arts Centre and the Great Canadian Theatre Company have responded with enthusiasm about collaborating with the Drama Studies program to provide support in terms of programming and financial incentives for students. Each year students in the program also produce a play, often in collaboration with students in the Architecture Theatre Design course. In 2017, students offered the original theatre piece Soliloquies, Sonnets, and Selfies: Letters Home, a moving theatrical collage inspired by the theme “letters home.” In 2018 and under the supervision of Rebecca Benson, students staged Caryl Churchill’s Love and Information. This project was completed in collaboration with Architecture students under the supervision of Professor Yvan Cazabon and Music students supervised by Professor Jesse Stewart. 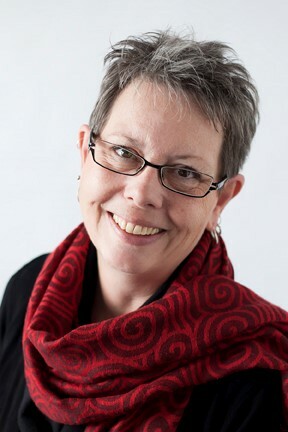 Professor Janne Cleveland, coordinator of the Drama Studies program, works tirelessly to strengthen the connection between campus and the theatre community at large. Her students attend and critique local productions, and they also benefit from the workshops and lectures offered by the guest artists she brings to campus. In early 2018, for instance, Professor Cleveland arranged for theatre visionary Robert Lepage to speak to students in the Drama Minor, only hours before his show 887 officially opened at the NAC’s English Theatre. During his conversation with Professor Cleveland, Mr. Lepage brought together the various elements that went into the making of 887, his solo performance in which Lepage plays himself. His reflections upon this “autofictional” (not merely autobiographical, as he insists) work touched upon the curious workings of memory (memory tends to “miniaturize” big events and magnify small ones, he said) and the challenge of finding expressive theatrical metaphors for these reflections. His sources of inspiration were—predictably for Lepage—eclectic: displays encountered in a folk-history museum in Osaka, the anthropometric scale of proportions (Modulor) used by Le Corbusier in his architecture, and Quebec’s Quiet Revolution that he witnessed growing up in a cramped apartment belonging to the building that gives the play its numeric name. According to Professor Cleveland, she is also in conversation with members of Théâtre Catapulte, who have shown great interest in connecting students to French theatre (with English surtitles). Stay tuned! 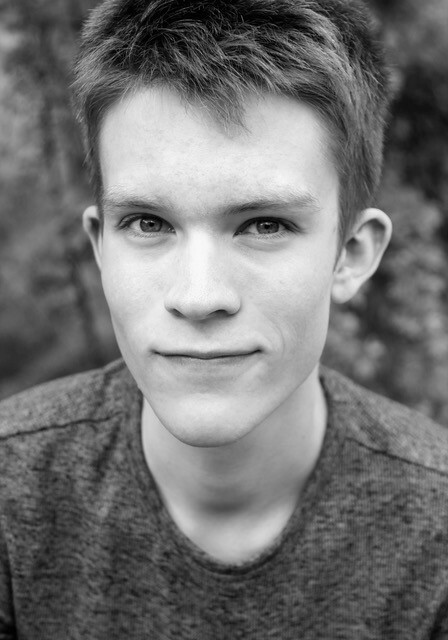 One of the best people on campus to talk to about all the exciting drama-related things that are happening on campus is Matt Venner, fourth-year English student who is taking the Drama Concentration and who currently serves as one of the three Artistic Directors of Sock n’ Buskin. When I sat down to speak with Matt over a fair-trade coffee from Rooster’s, I asked him first about his experience in the relatively new program. He talked about the workshops, in particular, which introduced him to the interesting but challenging process of collaborative creation. (He was involved in the 2015 production of You Will Be Mine: A Pentatext of Love and Lies.) These experiences have shaped his work as a director, not only for Sock n’ Buskin shows (he directed the 2016 performance of As You Like It, performed in the Carleton University Art Gallery), but also for the plays he has directed for the Ottawa Fringe and Fresh Meat festivals (with his collaborator and fellow Carleton student Matthew Hertendy). Experience in collaborative creation reminds Matt that, as director, he is “not the only brain in the room.” “There are many other imaginations in the room with me,” Matt said, “it would be a shame not to use them.” Matt is proud of the fact that Sock n’ Buskin seasons are driven by the student proposals the theatre receives each spring. While the club produced an ambitious season of plays this year, Matt also noted that they would like to try new things and continue to take risks: the club would love to receive more proposals for student-authored plays, to continue its experimentation with off-campus venues, and, in the future, to develop site-specific theatre. Matt and other Carleton theatre lovers will soon have a tremendous opportunity to develop an already dynamic campus theatre culture. At the end of 2017, the university initiated a process that will significantly expand Carleton’s performance arts programming: the Board of Governors approved a motion to formally negotiate the purchase of Dominion-Chalmers United Church, well known as a performance space to those who attend events such as Chamberfest, the Jazz Festival, and the Ottawa International Writers Festival. The downtown site will connect Carleton to the heart of the city and will give the university new opportunities to forge partnerships with arts and community groups. In conjunction with this expansion of university performance space, a new program, Performance in the Public Sphere, is being developed. This interdisciplinary program will bring Drama Studies together with Music, Architecture, Public History, and the Carleton University Art Gallery. Like the founding of GCTC in 1975, the new program is the dream of visionary Carleton professors who, like their predecessors, are committed to nurturing the cultural life of Ottawa and positioning Carleton as a future hub for the arts.